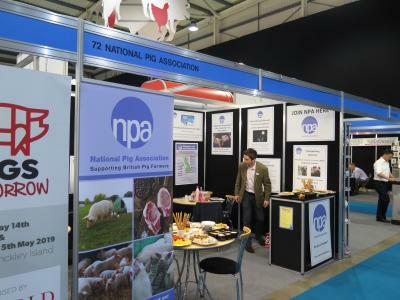 Nearly all visitors and exhibitors rated the 2018 British Pig & Poultry Fair as 'good or excellent', according to a survey taken after the event. The Fair, held in May at Stoneleigh Park, the event, staged by the Royal Agricultural Society of England (RASE), attracted over 370 exhibitors and 10,131 visitors. A post-event survey showed visitors and exhibitors rated it as the best yet, with the research showing 93% of producers rated their day as valuable for their business, while 100% of exhibitors said they met most or all of their objectives of exhibiting. 96% of visitors to the 2018 Fair plan to attend the 2020 Fair.